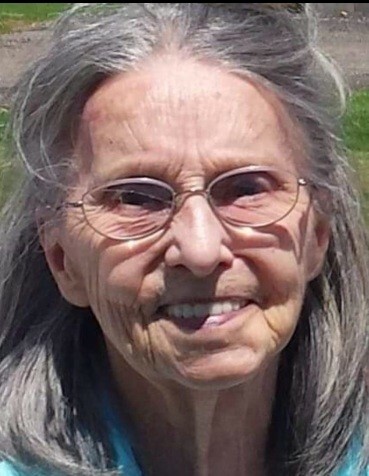 Genevieve May Milligan, 89, of Lordstown, passed away on Sunday, April 14, 2019, at the Hospice House, in Poland. Genevieve was born September 2, 1929, in Lordstown, Ohio, the daughter of Thomas and Gladys (Means) Murray. She was a 1949 graduate of Lordstown High School and had attended YSU, studying to become an airline stewardess, until she met the love of her life, Wilfred G. Milligan, whom she married October 11, 1951. Genevieve was a great cook and baker and loved gardening and canning. Her greatest love of all was her family, babysitting the grandchildren and nieces and nephews. She leaves to cherish her memory, her sons, Wilfred G. Milligan II, of Frederick, Maryland, Thomas "Tim" W. Milligan, of Lordstown, Brian L. Milligan, of Lordstown, Kevin J. (Lorelei) Milligan, of Champion and Kerry B. (Prestina) Milligan, of Frederick, Maryland. her sister, Marion Butcher, of Warren, brother, William Murray, of Howland, eighteen grandchildren, twenty-two great-grandchildren, and a great-great-granddaughter. Besides her parents, she is preceded in death by her husband Wilfred, who died July 10, 2003, her infant son, sister, Millie Grant, and brothers, James, Thomas and Joe Murray. A gathering of relatives and friends will be held on Saturday, May 4th, from 12-4 ,at Lordstown Administration Center, 1455 Salt Springs Rd., Lordstown, OH 44481, to honor and remember Genevieve's life. The family suggests any memorial contributions be made to: Hospice House, 9803 Sharrott Rd., Poland, OH 44514. Visit www.blackstonefuneralhome.com to view this obituary and to send any condolences to the family. There's still time to send flowers to the Gathering of Family and Friends at the Lordstown Administration Center at 12:00 PM on May 4, 2019.